So #Veganuary is over and were well on our way into the month of February. 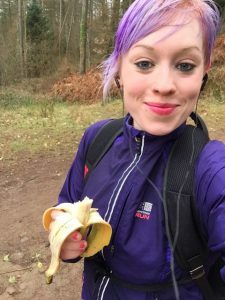 When I first took on the challenge, I wasn’t worried at all; I had a pretty vegetarian/healthy lifestyle and hadn’t drunk milk in years… Plus, what could be so hard about living a plant based life? WELL. There were a few struggles along the way… First off, I was shocked at how many products contained milk. Once I even picked up a packet of nuts, believing that they would be a safe bet. But NOPE. This selected pack contained milk for some reason, which made me wonder about the story behind our mass production with our food products. I did some research on the farming industry, the dairy suppliers and the history of veganism. I had a basic knowledge on it all, but being (just like anyone else I presume) a person who grew up in a ‘meat and two veg’ family lifestyle, it wasn’t something people really ‘cared’ for, let alone talked about and understood. Doing #Veganuary suddenly wasn’t just about ‘eating right’… It was a lesson, a big fat lesson. One to see what was really going on in the world. I looked at food very differently, it was fuel for my body, and I needed to be a little more careful on what I was intaking. So after gaining some much needed knowledge and packing a fridge full of vegan friendly items, I was well away with my new lifestyle. I checked the back of everything that I came into contact with if I was buying food from the supermarket, and spoke about vegan options with waiters in restaurants. I was hungry (literally) for more information and I was enjoying the vegan lifestyle more and more each day. I suddenly became a pro at food prep, something that I never really did before, as an occasional meat eater. I realised how much I was not intaking within my diet previously. Looking back prior to January, I was not eating reguarly and was a ‘picker’. 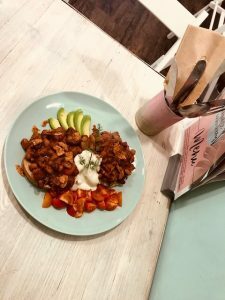 With a busy lifestyle, food was sometimes on the back burner and after being ill a numerous amount of times recently without a cause, suddenly the lightbulb went off in my head – I had my answers. Becoming a ‘vegan’ made me pro-active on making sure I had the right macros, as I had removed a lot of would-be items from my meals. I needed to make sure that I replaced them with nutritious alternatives. 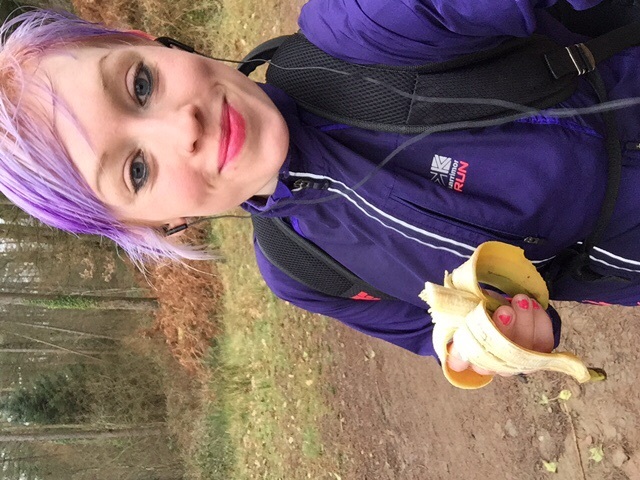 I was suddenly aware of when I needed certain foods and made sure that I had enough fuel for when I was training. I was much more alert, much more active and I felt incredibly positive with the changes that I had made. My body had changed somewhat too, only slightly, mind you; but I was definitley trimmer around the edges. Overall, regardless of the way I looked, I felt healthy. The healthiest I had felt in a long time. 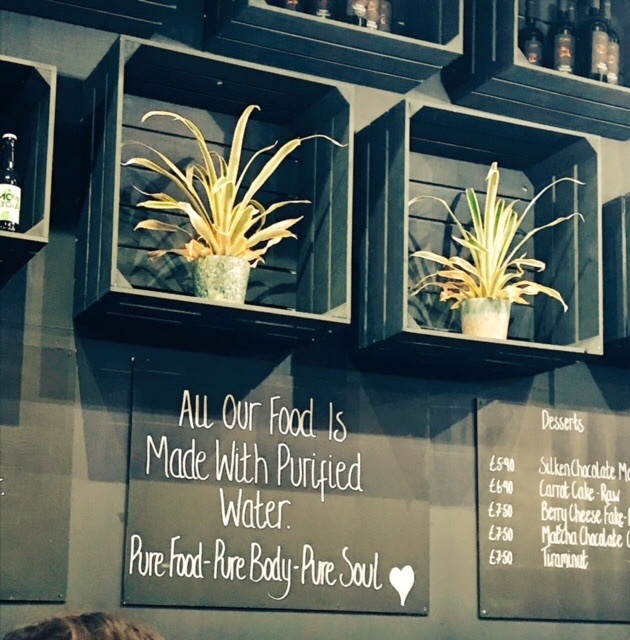 FED By Water – Dalston. Coming to the end of the month, I started to threat over my choices. Although I had MANY positives, I had also missed a few things that were once an everyday option in my life. Eggs was a big one, I would eat them daily, but suddenly I had no choice but to eradicate them from my dinner plate. Secondly, I missed my night time Ovaltine. I know, I know, before you say it, I AM THAT GUY. It was a comfort thing over anything else, and as this contained milk, it was something I had to get rid of too. 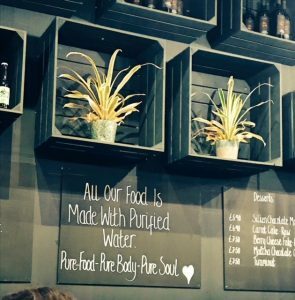 Other than that, apart from the one or two times I was hungover (on vegan wine of course) and wanting halloumi BAD, I did not miss anything else from my previous diet. On the social side of things, I suddenly got a lot of stick as a newbie vegan. 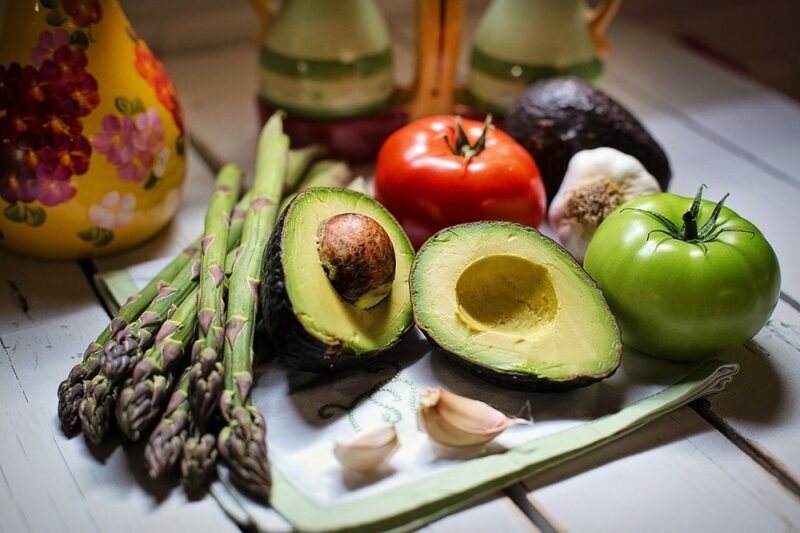 I would hear many a statement of how I wouldn’t be getting ‘the right nutrients’ within my diet, or that being #vegan, meant that I wouldn’t be able to eat anything apart from lettuce and leaves. Suddenly I was part of a group that were frowned upon by many, which made me somewhat angry, because why did people feel the need to comment on what I was eating? Was it affecting them? No. Would they listen to me if I told them what to eat? NO. 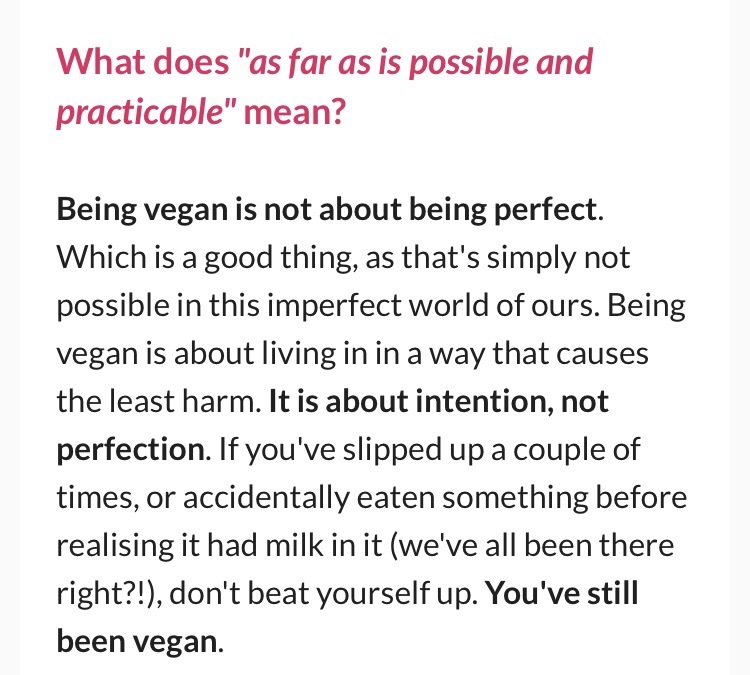 On the other foot, I spoke to the vegan crowd, some being very scrict on the lifestyle, which meant that some views were a little overwhelming for me. I didn’t want to be awkward or throw my opinions down anyone’s throat because of the lifestyle that I had chosen (which I had seen before) but luckily this was few and far between. Most of those had helped me out with useful advice, and I couldn’t be more grateful. Although it sounds like I was joining a new group of friends at school, it wasn’t like that at all, I had wanted to make the changes and I’ll get grief from both sides I can imagine… But this is my life. To conclude – I am happy with the huge changes that I have made, and my body is loving it too. 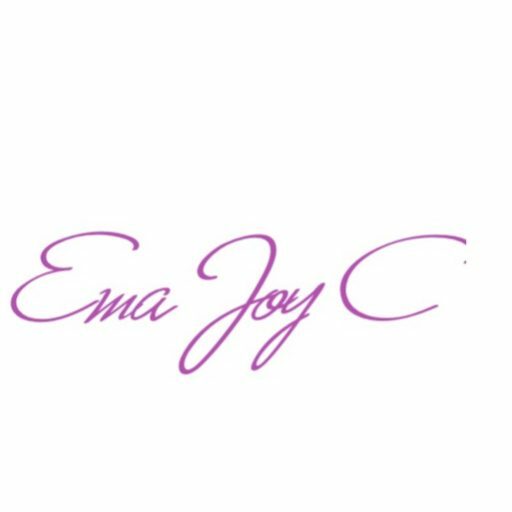 The worries I had about ‘slipping up’ or having an off day, have been pushed aside, as I had learnt that it would be about the bigger changes that I would be making. 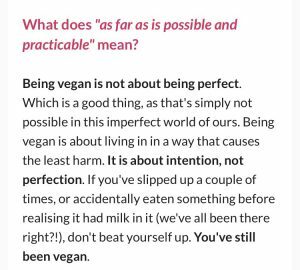 I won’t say that I’ll never eat a ‘non-vegan’ item again, because sometimes it isn’t always accessible… I’ll have to admit that. However, from now on I will be making a conscious effort to follow the life of Veganism. I have jumped upon the bandwagon, and I’m here to stay. Slowly but surely, this will be instigated within all parts of my life. I can’t wait to see the bigger changes.